Have you expressed disapproval of your government? Called for more democratic decision-making in your country? Criticised prison conditions or criticised a country allied with your government? Retweeted a comment that included #opinionsarenotcrimes? You are a criminal. You could be facing up to 15 years in prison for simply expressing your point of view if you lived in Bahrain. Nabeel Rajab, just like you, thinks his country could be better. And he has made those views public. He speaks out against poor prison conditions and argues for more freedom of speech in Bahrain. Friday 1 September 2017, marks his second birthday in prison, where he has been since 13 June 2016. He has been subjected to harsh treatment in often appalling conditions that have exacerbated his health issues. Rajab — due in court on 11 September in one of the cases against him — is facing trial for tweets and retweets about the war in Yemen in 2015, for which he is charged with “disseminating false rumours in time of war” (Article 133 of the Bahraini Criminal Code) and “insulting a neighboring country” (Article 215 of the Bahraini Criminal Code), and for tweeting about torture in Jau prison, which resulted in a charge of “insulting a statutory body” (Article 216 of the Bahraini Criminal Code). What’s worse, it’s just the latest in a long line of actions taken by the Bahraini government against Rajab, one of the Middle East’s most prominent human rights defenders. Rajab has been subjected to ongoing judicial harassment, physical intimidation and imprisonment for his non-violent advocacy of democracy and for his calls for an end to endemic corruption. Police officers have beat him up, the country’s press have published the government’s accusations against without his side of the story. He has been imprisoned, pardoned, banned from travelling, rearrested and held in solitary confinement. Despite the huge personal cost to himself and his family, Rajab continues to speak out. His activism began during protests in the 1990s and grew with his involvement with the Bahrain Human Rights Society, which he helped found in 2000. In 2002 he partnered with Abdulhadi al-Khawaja, who is now serving a life sentence for his human rights work, and others to launch the Bahrain Center for Human Rights, which was awarded an Index on Censorship Freedom of Expression Award in 2012. BCHR has consistently spoken out for non-violent resistance and the peaceful struggle for social justice, democracy and human rights. Rajab has also been outspoken in working for the protection of the Gulf’s migrant workers, founding, in 2003, one of the first committees in the region to advocate improved conditions for them. When the Arab Spring swept across the Middle East in 2011, Rajab participated in the pro-democracy protests that were focused on the Pearl Roundabout in the country’s capital Manana. 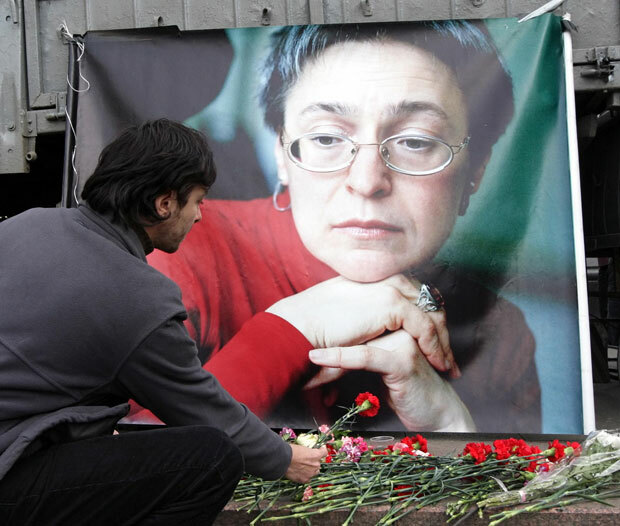 His vocal criticism of human rights violations and outspokenness — even after the government issued a state of emergency and invited foreign intervention to help maintain control — brought him into frequent conflict with security forces. Born 1 September 1964 to a middle-class family, he went to university in India to study politics, before returning to work in Bahrain. Rajab is married and has two children. He is a nephew of Mohamed Hasan Jawad, one of the “Bahrain 13” — political figures imprisoned for participating in the Arab Spring protests, and a cousin of Hussain Jawad, a prominent human rights activist arrested in February 2015. Silenced temporarily by the Bahraini government, Rajab needs you to use your voice. Speak out in support of free speech and human rights. 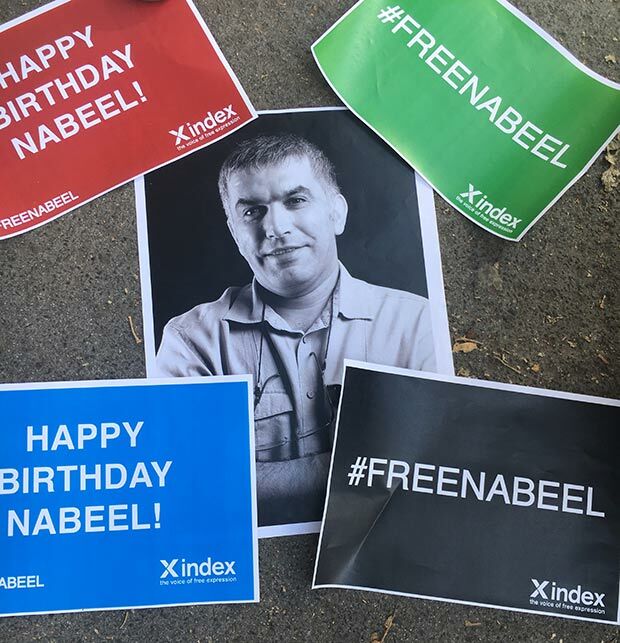 Tweet and Facebook a statement of solidarity using #FreeNabeel. 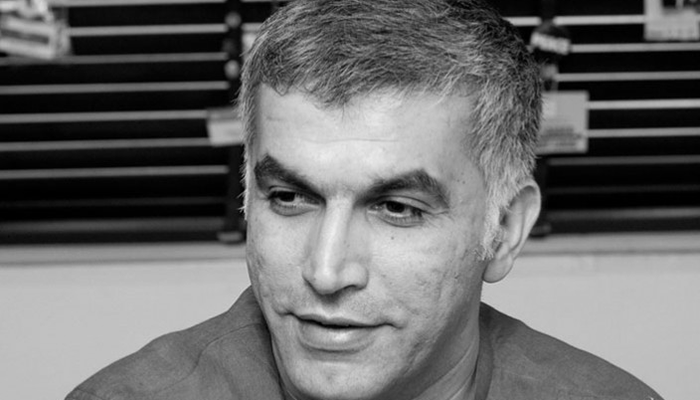 Call on your nation’s leaders to pressure Bahrain to respect freedom of expression and #FreeNabeel. Retweet the following “criminal” tweet or share the infographic to show Bahrain that you are aware of the abuse of Rajab’s human rights. you really need to visit Bahrain to judge if this so called “non-violent” human rights activist is indeed innocent. i am an expatriate born in Bahrain. the behavior of your so called activist would have met with a bullet in his head if he was in the US. you should be fortunate that he his still alive (while i really hope getting beat up) for spreading hatred in the community. all i will say in the end is… God is watching. have fear. 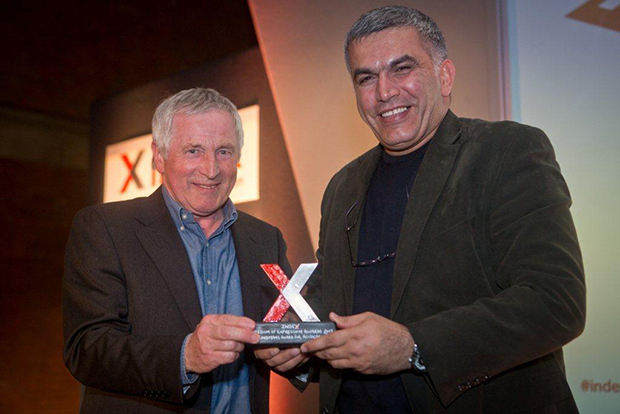 Index on Censorship Freedom of Expression Award-winning Nabeel Rajab has championed non-violent protest throughout his work at the Bahrain Center for Human Rights. Opinions are not crimes. 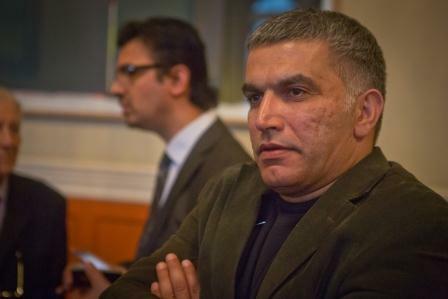 Here are what other institutions have had to say about Nabeel Rajab.